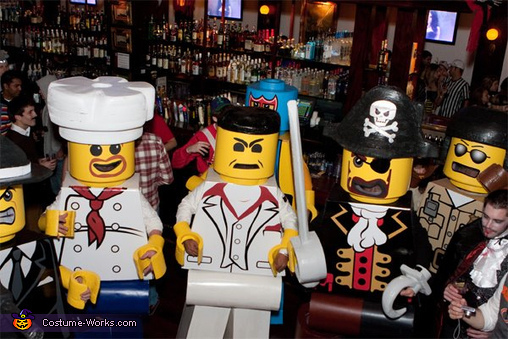 Visit out Lego Costumes page for other original Lego costume ideas. 7 of us built custom lego men costumes. We spent over 60 hours and used a ton of foam, cardboard glue and power tools to make these. how do you make the costums? I would like to made one of these costumes. Do you have instruction?